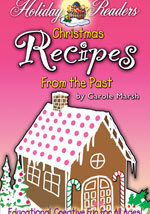 Christmas Activities, Crafts, Recipes, and More! 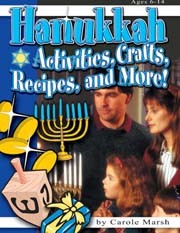 Celebrate this joyous holiday, which embraces Jewish history and Christian beliefs. 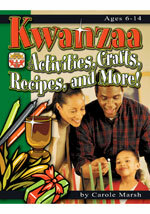 The stories, trivia, and activities in this fun book include international traditions, activities, crafts, recipes, holiday songs, and much more! 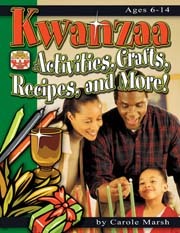 This is a great book for learning about traditions (and building new ones) at home or in the classroom! ïDiscover the Meaning of Christmas! ïBake a batch of Christmas Trees, Bells, Angels & More! 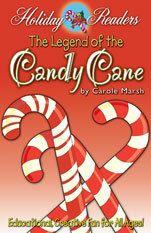 ïLearn the legend of the poinsettia flower! 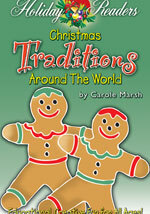 ïCherish Christmas traditions from around the world! ïWrite a family Christmas newsletter! 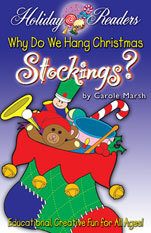 ïGive someone the 12 days of Christmas! ïFold five-pointed stars, and other crafts! Snowflakes on my eyelashes, steaming hot chocolate, carolers at the door, the scents of peppermint and pine wafting through the house...these are some of my favorite sights, sounds, smells, and tastes of Christmas. And it's all coming very soon! 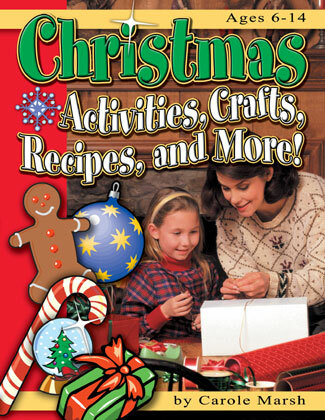 This book is packed with wonderful stories, interesting facts, great crafts, and lots more for you to enjoy during the Christmas season. 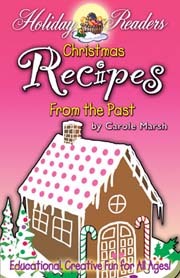 I've included games, songs, puzzles, trivia, poems, projects, recipes, and lots more-even a family newsletter. Don't hesitate to add to the fun. Remember, when it comes to celebrating Christmas with your loved ones, a truly creative mind can always come up with endless ideas! 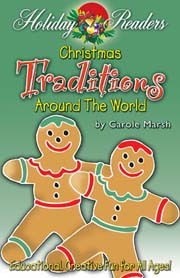 This special season is celebrated all around the world from Australia to Greenland. So whether you are building a snowman or a sandcastle this December, I hope this activity book will help you learn more about this special holiday.